Born in upstate New York, E.B. Crocker set out for California in 1852, not to dig for gold or to sell to the miners, but to hang his lawyer’s shingle in Sacramento. His brother, Charles, soon followed, not to practice law but to sell to the miners. The two brothers made up two of the five “Associates,” the men who guided the Central Pacific’s construction of the western leg of the transcontinental railroad, from Sacramento, California, to Promontory Point, Utah. In my prior article, I provided a brief biography of one of the Associates, Collis Huntington, the most successful railroad man of the Gilded Age. The other Associates were Leland Stanford and Mark Hopkins. As I stated in an earlier article, the Associates largely got along well, each contributing his talents in a collaborative manner, in stark contrast to the men who headed up the Union Pacific, responsible for completing the eastern leg of the transcontinental railroad. I say largely, because Huntington constantly complained about Stanford’s work ethic. All five men were instrumental in founding California’s Republican Party, not necessarily a popular position in 1856 Sacramento. Stanford later served as California’s governor and appointed E.B. Crocker to the California Supreme Court. E.B. in later years often was referred to as Judge Crocker. Ultimately, E.B. Crocker served as the Central Pacific’s legal counsel. In that role, he resolved the company’s many legal issues, including the legal details involved in the acquisition of other railroads. But he was much more than that. He regularly exchanged lengthy correspondence with Huntington, who served the company’s needs in the East (purchasing iron and rolling stock; securing financing; lobbying politicians in Washington). The pressure was enormous. The Central had the onerous task of almost immediately having to drill through the Sierra Nevada granite. The price of Central Pacific bonds rose and fell with the latest rumor. Government subsidies depended upon laying as much track as possible. It was critical that the railroad “end” in a town or city, not in the middle of the Nevada desert or the Utah salt flats. Judge Crocker had to withstand Huntington’s demands to lay off Chinese and Irish workmen when weather prevented work; he knew that doing so might mean he would never get the workers back. Huntington’s correspondence often chided his western partners when he thought progress was too slow. In turn, Judge Crocker expressed his exasperation with his Eastern Associate, letting Huntington know when he failed to timely arrange for the shipping of rails and other materials required to move forward. As much as Huntington relished the railroad business, Judge Crocker often expressed his desire to be done with it. His health suffered from the long hours and the stress. He suffered a minor stroke in the spring of 1868. In June, 1869, only one month after officers from the competing railroads drove the golden spike at Promontory Point, he suffered a second stroke, which left him paralyzed. He was done with the railroad. In August, 1869, he and his family set out for a two-year vacation to Europe, where they went on an art buying spree. Judge Crocker died in 1875. As one of the Associates, he helped to build the wonder of his age, a network of railroads spanning the continent. His widow, Margaret, contributed to his legacy, in the form of many charitable causes. On May 6, 1885, Margaret presented the Crocker art gallery building, grounds, and the E.B. 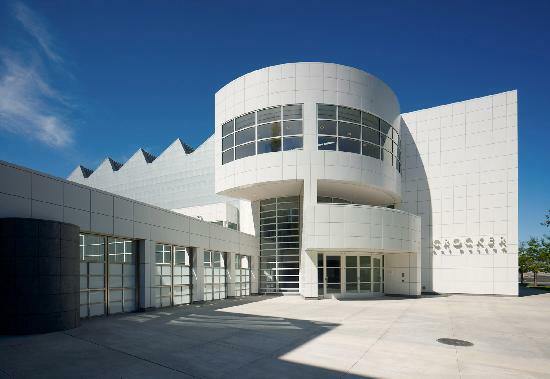 Crocker art collection to the City of Sacramento and the California Association of Museums. The museum was the first public art gallery west of the Mississippi. It remains a vibrant world-class gallery and is located in historic Sacramento. Judge Crocker’s most colorful child was Aimee, whose autobiography is titled And I’d Do It Again. She married five times and lived an extravagant lifestyle. Among her marriages was one to a European prince. The marriage of American money to European royalty, as portrayed in Downton Abbey, was not uncommon during the Gilded Age. Huntington’s adopted child Clara also married European royalty. Sources: Bain, Empire Express; Lavender, The Great Persuader. You can learn more about the Crocker family at http://crockerartmuseum.org. I’m reading Railroaded by Richard White at the moment. What a fun read! The corruption was so crazy. I like Huntington as a character–grumpy, a quick study on how the RR game was played and dramatic. Grenville Dodge is the RR guy I find most interesting though. In some books he sounds quite heroic–and in others a bit of an arrogant con-man. Thanks for reading! I genuinely admire the five “Associates” (and yes, I count Judge Crocker, the company’s legal counsel, as one of the Associates), the men who led the Central Pacific. Each man had a different skill set and the Associates generally collaborated well. But the Union Pacific? Not so much. Dodge and Casement performed admirably, but it looked like the bombastic Thomas Durant might blow up the entire company any moment.